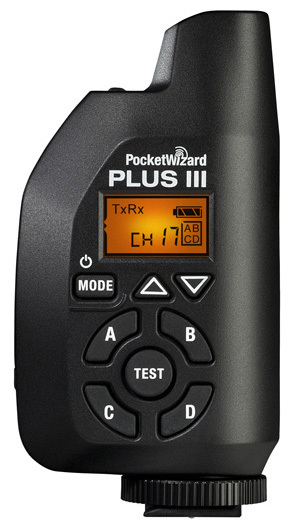 Enter Our PocketWizard Plus lll Giveaway! We’re really excited to announce a new giveaway from our sponsor PocketWizard. Incase you missed our broadcast, we met with David Schmidt at WPPI 2012 in Las Vegas last month. We had a great chat about their recently announced PocketWizard Plus lll Transceivers and before he left our booth, he slipped us a pair to give away to our listeners. These babies are really cool! They have a sleek new design and much greater functionality over previous models. If you want to learn more about the Plus llls head over to PocketWizard’s website. Simply log in to the giveaway widget using Facebook or enter your name and email address below. Click the +1 DO IT! button and answer the question “What level photographer are you? (Beginner, Advanced, Professional)” then click the ENTER button. button to connect with Twitter and then click the Tweet button in the pop up box. BTW, you can Tweet about the giveaway once a day for additional chances to win. Sunday March 25, 2012 at 12:01 AM EDT. Here’s the video from our chat with David Schmidt at WPPI 2012.